From the author: I wrote this book out of my own search for deep connection with the Lord in the challenges and triumphs of my life. Now after ten years of experiencing and teaching the treasures of biblically centered reflective prayer, it is my joy to pass along what I have gained. I pray your encounter with this book will open unparalleled blessings of intimacy with our gracious Lord who has made himself so accessible to us. 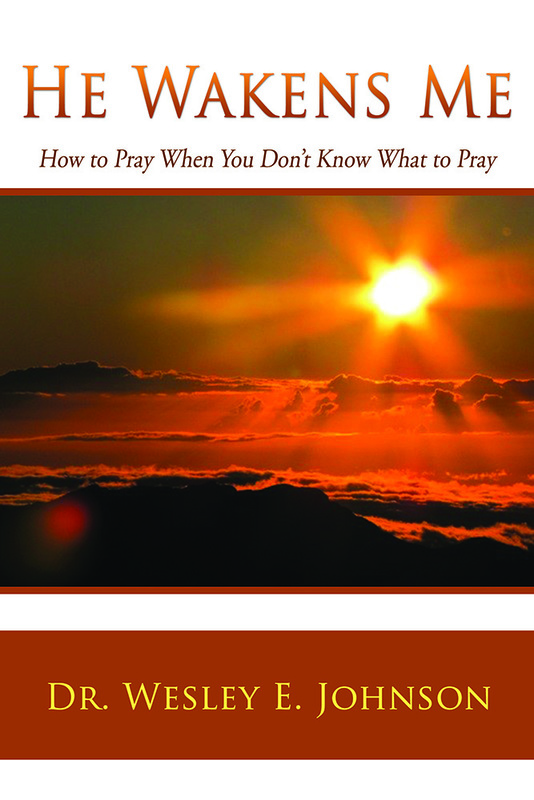 He Wakens Me provides clear instruction for breath prayer and lectio divina, biblical support for these types of prayer, and enthusiastic endorsement by those who practice them. “Ahh . . . a weekend retreat in a book… and more. The more is what I found so compelling. Dr. Wes shares so much of himself, his life and experience with God calling, shaping and teaching him. I heard him saying, “I want you to have a growing, deepening relationship with your heavenly Father. Come join me.” –Ken Thiessen—Retired police detective, church elder. Click here to read the intro! Rev. Wes Johnson is the executive director of the Awakenings Prayer Institute, a one or two-year learning community dedicated to renewing the spiritual life through prayerful reflection over Scripture and one’s personal life experience, while listening deeply to God and one another. Like the shepherd David who pondered the character of God and rose up to defeat Goliath, the Institute equips contemplative activators who will take action for Christ in daunting times. Dr. Johnson has served as lead Pastor of Bethel Baptist Church in Everett, Washington since 1993. He holds a BA in English from Seattle Pacific University, a Master of Theology in Old Testament from Dallas Seminary, and a Doctor of Ministry in Transformational Leadership from Bakke Graduate University. He has taught the integration of spiritual formation and leadership formation at BGU, to pastors and leaders of Converge Northwest, and in other churches and ministry organizations. He and his wife, Kathryn, live in Everett, WA. © He Wakens Me 2019. This site developed by Lewis Design, LLC.